“Ber-muuu-da is a-nother world…” croons the singer. 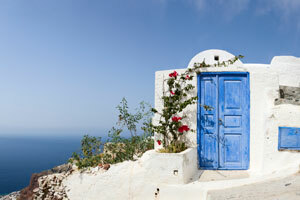 I can hear the melodious sounds of Calypso playing in my mind even now. Though I was only a small child, I vividly recall the first time my parents returned from a week-long trip to the island and played that song from the album by the Bermuda Strollers for my brothers and me. For my mother, who loved music of all kinds, it channeled the pink sands and aquamarine waters and the generosity and warmth of a place that was a welcome escape from the tail end of a long New England winter. The Bermuda of my early childhood was that album, along with pooka shell beads; my grandmother’s soft tangerine, fuschia pink, and lime green cashmere sweaters from Trimingham’s, with the slanted script logo and giant gold buttons; “Bermuda bags,” with a monogram cover that buttoned on and wooden handles that clapped shut; and my father’s yellow Bermuda shorts. 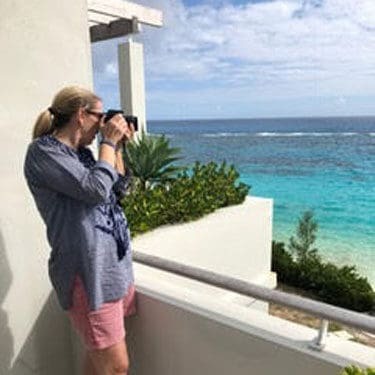 I have been to Bermuda numerous times since then, but on a recent trip, there were signs that a new generation of entrepreneurs and the new head of the Bermuda Tourism Authority, Kevin Dallas, who grew up there, are committed to furthering the island’s reputation and putting their own spin on it for the next one. Spurred in part by the America’s Cup in Bermuda in 2017, this latest development seems aimed at ensuring that Bermuda retains the best of its old-school history and identity while recognizing the next generation’s style and taste. 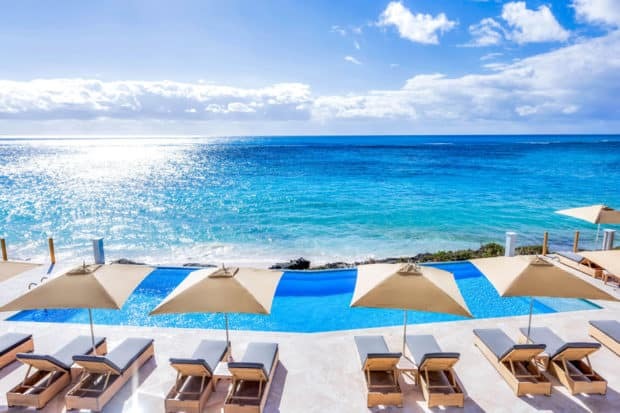 Next Gen Bermuda can be found at the island’s newest luxury property, The Loren at Pink Beach and The Loren Residence, launched by Stephen R. King, a British businessman who bought the original property in the spring of 2013 and opened the stylish boutiquey plop and drop four years later. Formerly the Hotel at Pink Beach, The Loren now has 45 rooms and 7 3,500 square foot villas, most with ocean views, an infinity pool, a private beach, along with a spa and fitness center. 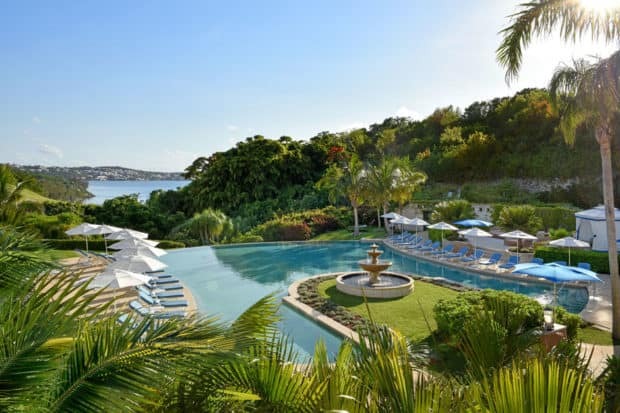 Best of all, it is just a short drive to the airport and to Hamilton shopping and restaurants (it is also just down the road from the Rosewood Bermuda). King also bought the house next door (which is a quick golf cart ride up a small hill to the hotel) for himself, but decided to turn it into a stylish private residence that is now available for takeovers. The nearly 11,000 square foot, eight-bedroom, ten-bath house looks a bit like a white concrete-stucco bunker that was clearly built to withstand hurricanes. It sits just above a pretty, small private beach with a prime view of the sunset; there’s also a pool and fitness center, a media room for private screenings, and all the services of the hotel at the ready, including the availability of a private chef, a butler and housekeeping services, massage therapist and yoga instructor. 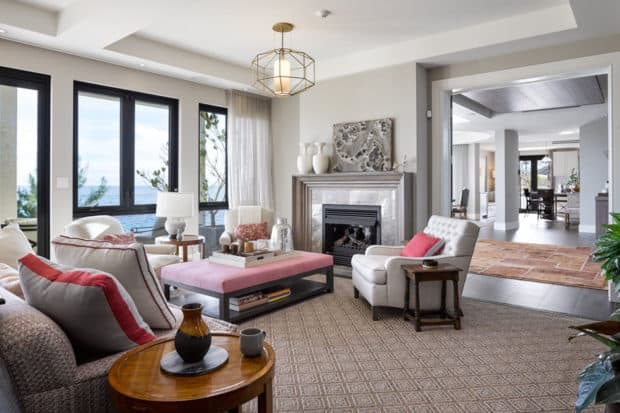 Classic Bermuda has also gotten a fresh spin at the 88-room Rosewood Bermuda, which has recently seen updates to all its suites. Almost all of the floral chintz is gone and suites now have greige and khaki linen color schemes with blue and white touches throughout. The latest refresh maximizes the views in the lobby and modernizes the check-in and concierge experience somewhat; there is an airy multi-use conservatory with a gin bar and breakfast area and the restaurant has been transformed into a less formal brasserie. The Beach Club and Golf Clubhouse and most of the 12,000-square-foot spa have also seen improvements. And, two other high-end additions are also coming soon: the 122-room St. Regis near St. George and the 79-room Ritz on the West End are slated to open in 2020 or 2021, but the news that has people on the island buzzing is the fact that two properties—the iconic Hamilton Princess and the new St. Regis—have been granted casino licenses. Whether casinos come to fruition here is subject to debate in the Royal Gazette, the local paper of record. This new brand of Bermuda is reflected in the energy and spirit of designer Selange Gitschner of Dasfête, a sustainable design and events company she runs with her husband Matt Strong; the entrepreneurial couple seem to be connected to all the right people on the island, when it comes to knowing what it takes to throw a party. Selange’s brother Stefan runs the cocktail company Twisted Spoon, a home delivery service that provides signature cocktails. He is also behind Yours Truly, a new speakeasy in Hamilton featuring craft cocktails such as a Thymeless, a Zombie or a Bee Sting. 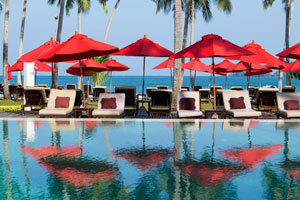 Selange is the go-to on the island for weddings and private parties. They collaborate on events with Devil’s Isle and Harry’s (Hamilton institutions with catering arms) that are owned by Will Cox. 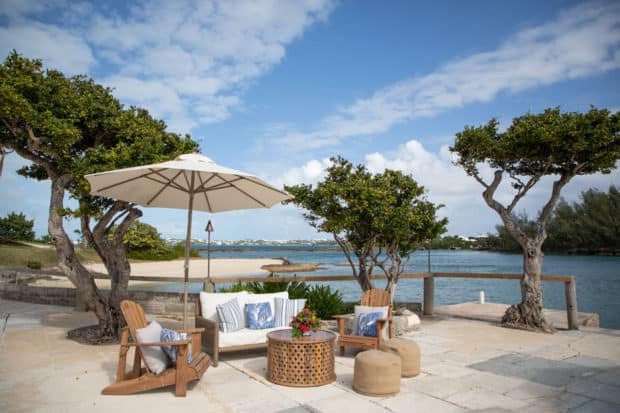 A longtime Bermudian, Cox heads Waterfront Group, which has considerable real estate holdings on the harbor front, including Miles Market (the Whole Foods of Bermuda), in Hamilton, along with Hawkins Island and Island House, another luxury property. Cox seems to have a corner on the private island market here. Cox is also behind Hawkins Island, a new 26-acre private island retreat that was briefly a Boer War prison camp. Just a short boat ride from Hamilton, it has a full-service villa (including a dedicated chef and water sports instructor). The island can accommodate up to 16 in a main villa and a Guard House with bunk room-style accommodations (ideal for kids over eight). The property also has its own private dock and a small beach and a hot tub; a pool and more entertaining spaces are being added. As with his Island House property just across the cove on Long Island, Cox hopes to attract those seeking a particular private island experience that is easily accessible from the East Coast. (According to the Royal Gazette, Jon Bon Jovi’s son, who is getting into the wine business, recently checked out the property when he was on the island.) Together, Cox and this merry band of entrepreneurs, all with roots to the island, seem to be riffing on creating their own version of the best of Bermuda right now. When it comes to island roots, you will still find remnants of classic Bermuda and upscale clubby food at places like the Coral Beach Club and Elbow Beach Club, but there is evidence at these institutions that menus are evolving (sushi and sashimi was served for an amuse bouche during my recent meal). All across the island, there is an effort to up the ante on evolving the food scene. Menus emphasize fresh fish and local produce and community gardens are visible as you drive around Hamilton and beyond. Among the top tables leading the way: Marcus,’ run by chef Marcus Samuelsson at Fairmont Hamilton Princess; Waterlot Inn, the classic steakhouse at the Southampton Princess; Maree at the Loren, Island Brasserie at the Rosewood; Huckleberry at The Rosedon Hotel. 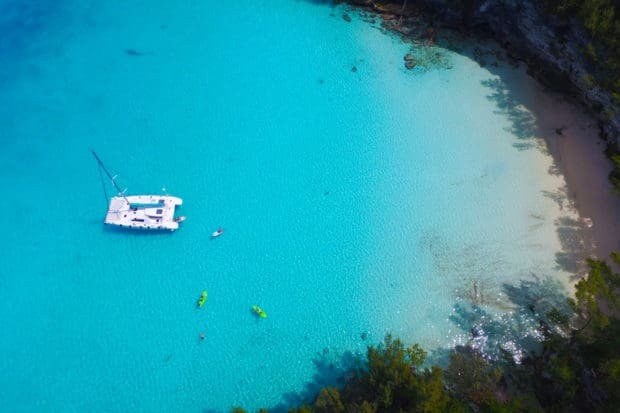 There is also evidence of responsible travel and local island conservation efforts on Trunk Island, a tiny islet in Harrington Sound, which is run by BAMZ, the Bermuda Marine Aquarium and Zoological Association. It was founded to preserve and protect the flora and fauna in and around the island. Passion Fields, created by beekeeper Spencer Field, has launched efforts to rebuild the local bee population there. Preservation efforts and promoting an understanding of the island’s history are also in evidence on the old Railway Trail, which runs from St. George’s to Somerset. You can walk or bike it for 18 miles, if you are looking for a break from one of the island’s 34 beaches—especially the pink sands that stretch from Tobacco Cove to Elbow Beach and Horseshoe Bay. It’s not my grandmother’s Bermuda anymore—but that is quite alright. Given that the Atlantic is chillier from December to March, the 21-square mile fishhook-shaped island is optimal from late March to early August; for a smaller post-Hurricane season window, from mid-October to November, it could make for a great weekend escape. Hurricane season generally hits in late August to late September. Celebrity sightings sometimes happen here, no matter the season: Michael Douglas and Catherine Zeta-Jones and Michael Bloomberg all have houses here. And Chelsea Clinton was conceived in Bermuda. Who knew? Contact Indagare for assistance planning a trip to Bermuda and arranging the itinerary, hotels and restaurants that are best for you.